Joy is a lot like puppies. Fortunately, it’s not as hairy and doesn’t make messes on the floor, but joy is boundless and uncontainable. Joy overflows, and when you’ve experienced joy, you want to share it with someone else—or as many people as you can. Joy bubbles over and affects everyone it comes in contact with. Most likely we won’t see it happen through such a miraculous event, but the joy Elizabeth experienced is available to us. This is the joy brought into our world by Jesus, God with Us. And though we are living over two thousand years later, His life and His joy are available to us today. 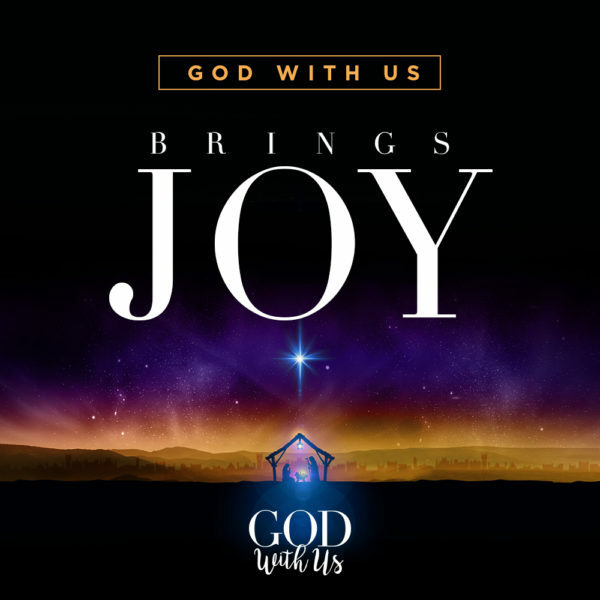 We compared happiness and joy a little bit ago, but if there’s one defining characteristic of joy that I hope you take away from our time together today, it is this: Joy defies our circumstances. Happiness comes and goes with positive events or experiences. Joy flows deep even in the face of challenge, hardship, or suffering. Joy drawn from Jesus, God with Us, sees the big picture beyond the immediate pain. James famously said it best right at the beginning of his eponymous book of the Bible: “Count it all joy, my brothers, when you meet trials of various kinds, for you know that the testing of your faith produces steadfastness. And let steadfastness have its full effect, that you may be perfect and complete, lacking in nothing.” James 1:2–4 (ESV). Before we close today, I’d like to look at one more aspect of joy that we can apply as we continue our Advent observance. That is the fact that joy can be a choice, and joy can be an action. But in Mary’s words we see her response: She rejoiced. She chose joy. She focused on the big picture and embraced her difficult role. In a similar way, in our own situations and seasons, we can do the same. We can choose joy. We can rejoice. We can embrace the miracle of God with Us and align our vision with the work He is doing in and through us. When we face trials we can count them as joy. Let’s choose to make this a season of joy. Let’s rejoice as we figuratively await the arrival of Christ, and let’s celebrate His birth with joy. God is with us. And so joy is with us—a joy that flows deep within our spirits and outward because our King, our Savior, is with us, always loving, always working, even in the midst of any hardship we will face. You can’t choose joy if you haven’t first chosen to accept God’s gift of love and salvation. Jesus Christ, God With Us, came as a baby with the mission of growing up to love and serve others and finally to lay down His life for all of humanity. He paid the penalty for our sins and brokenness and offers eternal life, joy, and peace that passes understanding. Come talk to me, if you are ready to accept this amazing first gift of Christmas.